Half a decade after first hitting the decks of the Baron, Alexandre Grynszpan and Paul Armand-Delille aka Polo & Pan are finally releasing their first LP. « Caravelle » tells the story of their travels across the world, placing the two music lovers on the same map as those many artists whose wish has always been to reconcile hedonistic dance music with the taste of a solar, timeless pop music. 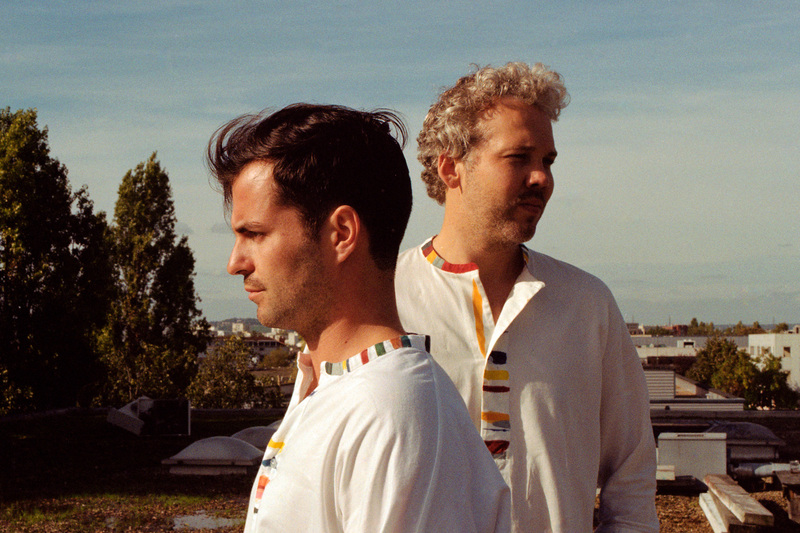 Aboard Polo & Pan’s ship, you will find quite an amazing combination of their melodic French touch with the soft, youthful singularity of their lyrics, and bold percussion patterns. Whether it be the French youth eager to experience night sensations, the enlightened citizens of the modern world, the musicians’ Mexican or Turkish friends, fellow artists like Jacques or Papooz, their female doppelgangers Marguerite and Victoria, or their elders who may feel nostalgic of curious waves, all have one day or another been carried away by such songs as Canopée, Plage Isolée, or Dorothy.